we'll have you ready for your close up in style! Here at Beauty Temple Mapperley we offer a range of beautiful hair services; from cuts and colours to nourishing treatments to get your hair looking, feeling and smelling incredible. Please note: Colour services require a patch test 48 hours prior to your treatment. Bang on trend and here to stay, we’ll give you a braided style that’s ahead of the curve in as little as 15 minutes. Whether you’ve got an important meeting or are headed to a festival, braids give you a chic look with staying power that leaves you feeling amazing. 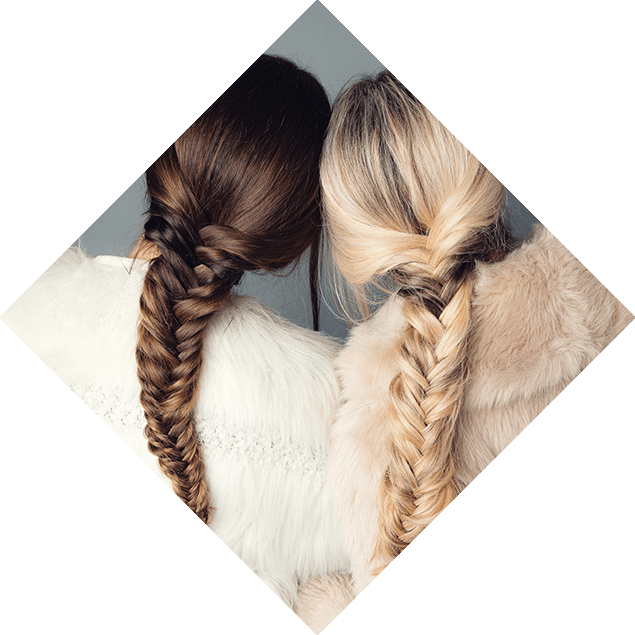 From classic French plaits to fish tails, messy buns or a super-stylish up do for a special event, our master braiders in our Braid Bar will give you the style you want from as little as £15! We can even add a flash of colour to the ends that will vanish in a few washes. The new salon wonder treatment! This three-step system will leave you with the healthiest hair.